Site24x7 extends its hold on monitoring locations by adding a new motioning location in Queretaro, Mexico. The IP for the new server is 169.57.14.116. This is in addition to our already existing 50+ locations worldwide. 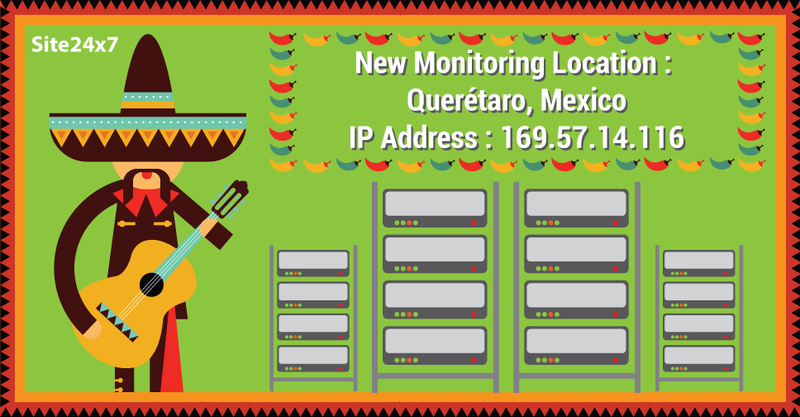 We request you to white list the above IP if you have enabled monitoring from Mexico location. For any clarifications contact us at support@site24x7.com.